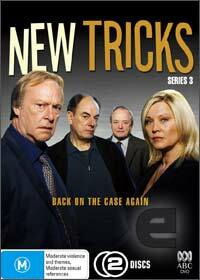 New Tricks Series 3 could be a dubbed a crime fighting comedy that revolves around The Unsolved Crime and Open Case Squad (UCOS) department who each have a number of skeletons in their closet that they keep to themselves. The beauty of the series is the characters themselves thanks to the stellar case of Bolam, Waterman and Armstrong which could be considered the thinking mans comedy as they attempt to solve a variety of unsolved crimes by trio of dinosaur detectives led by Redman. Great stuff!